One of the most popular tourist destinations near the south coast, the New Forest combines beautiful heath-lands, forests and picturesque villages. Campervan hire New Forest couldn’t be easier with us – we’re based near Ringwood, so you can be exploring the New Forest within 5 minutes! There’s plenty to see and do – take a look at the New Forest website for information on things to see and do, as well as campsites and events. 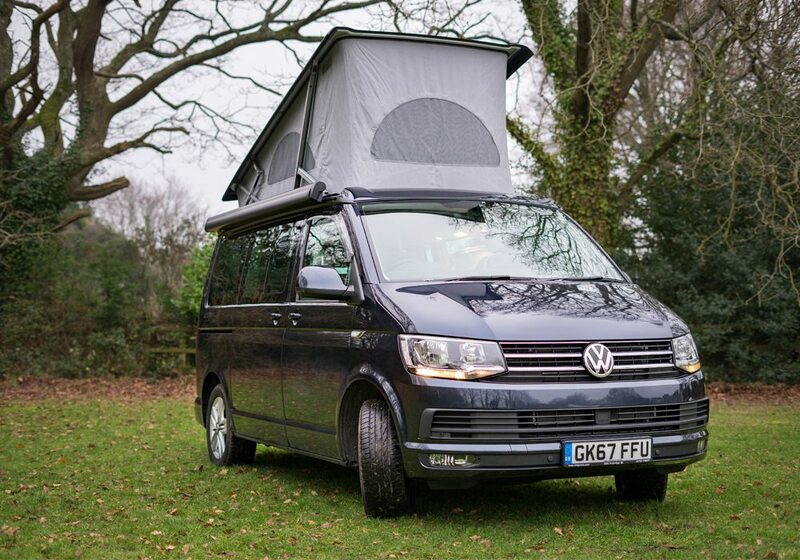 The freedom of a VW Campervan Holiday makes it the perfect choice for exploring the New Forest. Travel off the beaten path and embrace all the New Forest has to offer. With over 250 vehicles the National Motor Museum tells the story of motoring on our roads and racetracks. Re-live memorable challenges in World of Top Gear – and see exclusive behind-the scenes footage featuring the stars of the show. Experience the Victorian splendour of Palace House as costumed guides give you a flavour of life ‘below stairs’. Stroll through the grounds & gardens and explore the tranquil ruins of Beaulieu Abbey, which houses an exhibition on the monks that once lived and worked here. Ride the Monorail for sweeping views of the park, and uncover the covert role played by Beaulieu during World War Two in the Secret Army Exhibition…. And much more besides, a great family day out! This really is the best way to enjoy the tranquility, wildlife and beauty of the New Forest. This earthly paradise offers a riot of colour in spring, an oasis of tranquility in summer followed by a splendid show as the leaves change in the autumn. Capture Exbury’s hidden beauty and escape the cares of the world as you explore a myriad of pathways. Let the train take the strain on a 20 minute journey or ride a chauffeur driven buggy to tour the Gardens. In December 2011 the Gardens were awarded the prestigious Hudson’s Heritage UK “Best Garden” award. From ring-tailed lemurs and laughing kookaburra to frilled lizards, golden lion tamarins and bat-eared foxes – our 140-acre park is home to over 180 exotic and endangered species, in beautiful, landscaped surroundings. Also, do go and see their young snow leopard cubs as they climb rocks, play fight and chase mum! Chewton Glen is a luxury country house hotel and spa set in 130 acres of Hampshire countryside on the edge of the New Forest National Park, and just a few minutes’ walk from the sea. A very special place, Chewton Glen is a proud member of Relais & Châteaux, is one of the finest luxury hotels in the UK and has been voted ‘Best UK Holiday Hotel’ and listed as one of the ‘World’s Best Hotels’ by Conde Nast Traveller readers in 2014. Take your pick from their award winning restaurant, spa and hotel – a must visit treat! The castle was used as a prison for eminent 17th century captives, and later strengthened during the 19th and 20th centuries. It commands the narrow entrance to the Solent with glimpses of the Isle of Wight on clear days! Visitors can enjoy seeing a wide variety of paintings as well as tapestries, porcelain, 17th Century needlework and a rare James 1 carpet. There are also fine examples of period furniture in the house. Peppa Pig World is Peppa’s very own theme park with 7 fun rides and attractions located at Paultons Park. Burley Wagon Rides allow you to see the New Forest at a leisurely pace. All their rides begin by going past the village church and into woodland where they often catch a glimpse of fallow deer. Rides continue on quiet lanes around the village, the shorter trail taking you past pretty forest cottages, whilst the longer trail allows more views of open forest and woodland. Forest ponies and cattle are a common sight as are the 2 village donkeys. Beer has been brewed in Ringwood for centuries – ever since medieval man first mixed the crystal water of the River Avon with the malted barley harvested from the surrounding fertile fields of Hampshire. The Ringwood Brewery tour experience takes approximately one and a half hours. The tour includes a complimentary drink in the Pin Room, a tour of the brewery where you can taste the malted barleys, have a sniff of the hops, and see the fermentations bubbling away in the TunRoom. 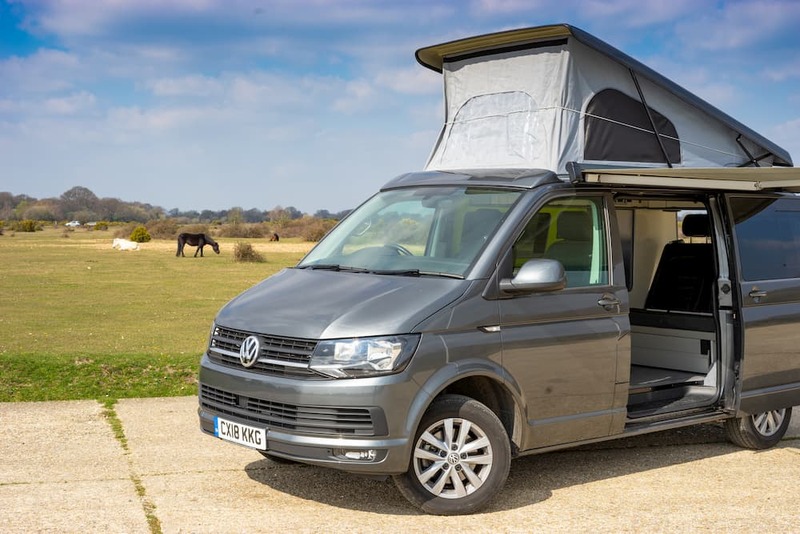 If you’d like to find out more about all the great things you can do with campervan hire New Forest, visit the Official Tourism website of the New Forest. Here, you can find out all about the local areas, what events are happening and much more! We are located in the heart of the New Forest, making us the best choice for campervan hire New Forest. If you want to travel somewhere else, we have prepared some more travel guides. 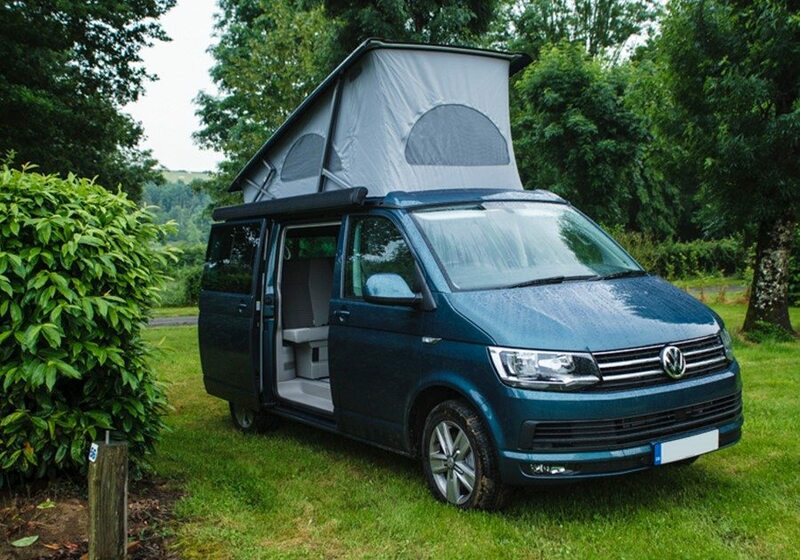 Read all about VW campervan hire Dorset and campervan hire in Hampshire. We also have a page all about campervan hire for festivals. Want to explore the city? Take a trip to Southampton in a campervan and explore the sites this amazing city has to offer .